Between 1924 and 1939 many Estonian families fled their homeland to avoid conscription by invading German or Russian armies. Australia offered the promise of cheap land, prosperity and a safe life. An exhibition at the Wollondilly Heritage Centre developed by The Oaks Historical Society with assistance from the NSW Migration Heritage Centre and Powerhouse Museum Regional Services, also in partnership with Western Sydney Regional Organisation of Councils Ltd, Arts NSW, Museums and Galleries NSW, Thirlmere Estonian Society Inc. "KOIT", The Estonian Archives, Sydney and the Wollondilly Shire Council. Exhibition: Open weekends from 10.00 am to 4.00 pm at the Wollondilly Heritage Centre, Edward Street, The Oaks, telephone (02) 4657 1796. 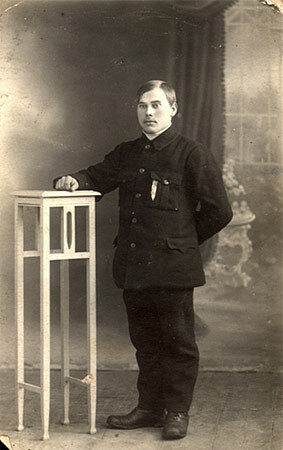 Between 1924 and 1939 many Estonian families fled their homeland to avoid conscription by invading German or Russian armies. Australia offered the promise of cheap land, prosperity and a safe life. The Commonwealth Government offered Estonian migrants plots of Crown land at Thirlmere and Wollondilly, 15kms south-west of Camden near Sydney. After the defeat of fascism in Europe in 1945, millions of people were left homeless from the carnage and chaos of the Second World War. Britain, the United States, France and Russia set up displaced person camps to house the millions of refugees. Many of these were in Germany to house the millions made homeless by years of bitter fighting and bombing of cities and towns. People from the countries of Eastern Europe were expected to return to their homelands. The Soviet Union claimed Eastern Europe as war booty and introduced a rule of Orwellian tyranny. This included Estonia. The Soviets installed a conceptual 'iron curtain', closing the borders of Eastern European countries. Behind this iron curtain Soviet leader Joseph Stalin reined a regime of terror. Stalin's secret police known as KGB (Committee for State Security) ordered regular purges to wipe out dissent and install fear in the population. Many people 'disappeared' or sent to work in concentration camps at Siberia in the remote wastelands of the vast Soviet empire. Between 1945 and 1955 some Estonians caught up in these displaced persons camps decided not to return and sought freedom in the west. They lived in terror of being sent back to their homelands and the hands of the KGB. Many chose to migrate to Australia to start new lives, traumatised by the loss of family members and friends in the KGB purges and the fact they could never return home. Some Estonian families made their way to Thirlmere to join family and friends who had set up farms in the first wave of migration before the war. 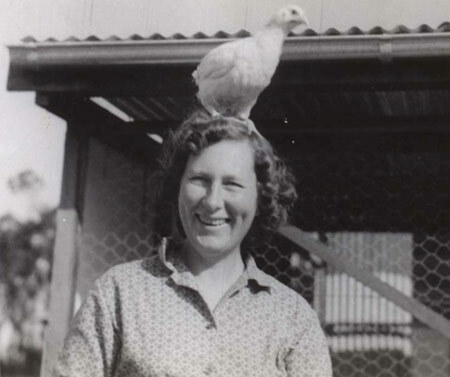 They brought skills and knowledge to further assist the development of the poultry industry and start other businesses at Thirlmere and the surrounding districts. 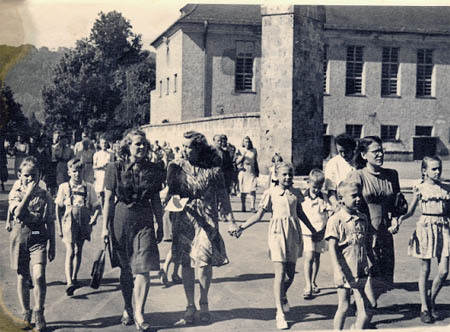 Children going to school in Geislingen Camp, Germany 1947. Anni Kaasik (née Hageri) centre holding Marge Lepik's hand. The Migration Heritage Centre at the Powerhouse Museum is a New South Wales Government initiative supported by the Community Relations Commission.